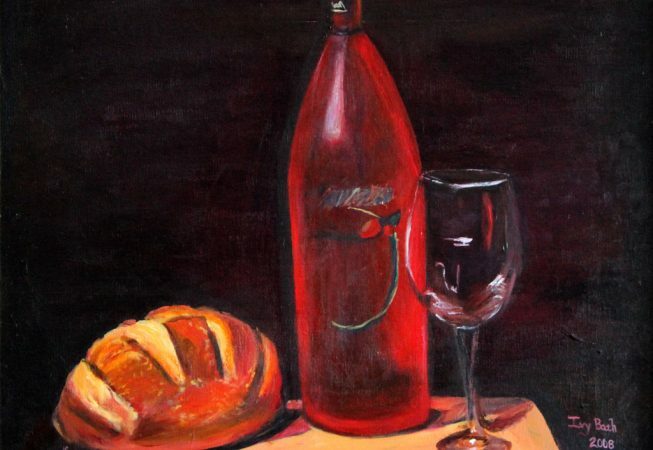 I love the contrast of the bottle, bread, table and the dark back ground. The shape of each object feels really defined. 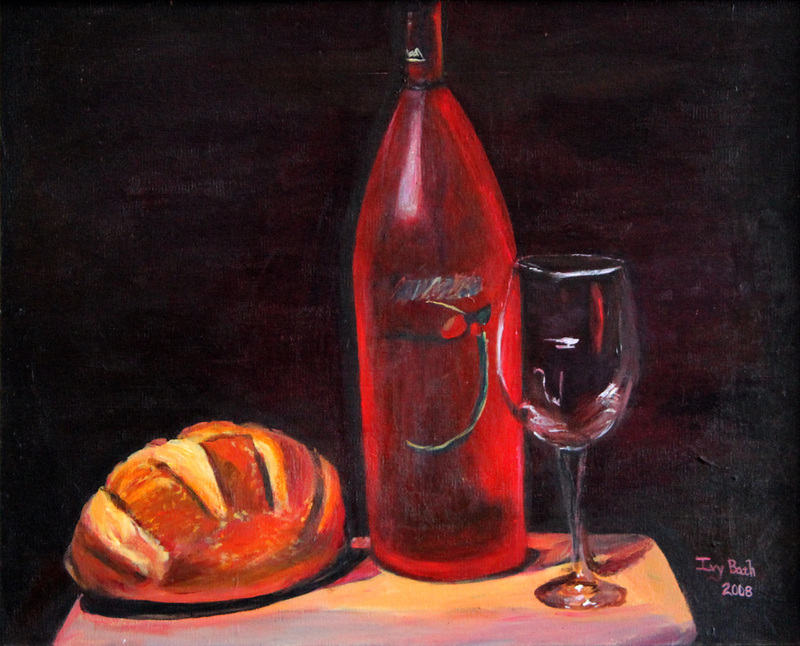 I love the warmth of the bread it has a glow to it.